Make your own cool abstract wallpaper….. If you like wallpapers like the one above — you know the abstract, grungy, urban silhouette style — but don’t know enough about Adobe packages, you’re in luck. Head over to X3Studios and use their free tool to create your very own, one of a kind, wallpaper. It’s like doing Photoshop and Illustrator by numbers, really neat. 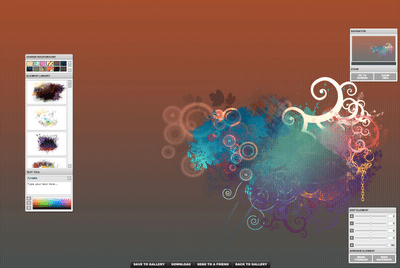 The wallpaper creation tool at X3Studios is free and requires no registration for use.